Learn the science behind LED lighting. This article examines LED lighting and explains why LED offers some important advantages in lighting, resulting in LED lighting being used in more and more applications. LED lights are found on many familiar electronic devices, mostly as tiny, colorful, bright indicator lights. LED lights are also used on vehicle taillights, in traffic signals, and is even beginning to be used as illumination in households, such as stairways and swimming pools. LED lights do not produce light by heating a filament nor by creating a spark between two electrodes. 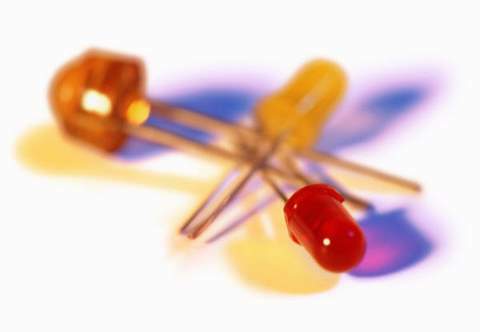 Diodes are tiny electronic components made from two semiconductor materials. One material has atoms with an excess of electrons. The other material has a deficit of electrons (called “holes”). The contact patch between the two materials is called a “junction.” With a sufficient voltage, the excess electrons cross the junction to fill the holes on the other side. As the atoms electrons fall into the holes, they give off very precise quantities of energy in the form of a photon (light). The amount of energy in the photon dictates the photon’s frequency, and the frequency corresponds to a particular color. Thus, LEDs emit a precise color (they are “monochromatic”). Most other light sources have numerous frequencies combined together. Not so for LEDs. If the end result that you are seeking is a specific color (other than pure white), then LEDs are highly efficient. quarters, then you will have a light assembly that becomes hot to the touch, hot enough even to melt the plastic lens if the light is poorly designed or if the light is used in an application for which it was not intended. LEDs also produce noticeably less light as they warm up. LEDs offer some important advantages. Being electronic components, the LEDs themselves are immune to vibration. Assuming that the LED’s circuit is properly protected from dirt and moisture, LEDs will last hundreds of thousands of hours. That is an extremely long life for a light source. Protecting the circuit and assuring a durable connection to the power source, however, are not trivial matters. Notice how many cars you have pulled up behind that have LED taillights with some of the LEDs not working. Some newer LEDs have sought to increase the light output by intentionally running the LED at an excessive voltage, which decreases their life. On the one hand, this is a smart compromise. The LED’s life is so very long to begin with that decreasing that life even 100 fold still leaves you a long-life light source. A more serious drawback in over-driving LEDs is that they produce a lot more heat. If you double the light output, you more than double the heat produced. In some applications the over-driven LED designs make sense, but not for all. In just the past few years, white LEDs have been marketed. The technology is advancing rapidly, but is still in its infancy. As a source of illumination (numerous LEDs packed together), and on a basis of light output (lumens) per dollar, most LED lights are expensive. Individually, white LEDs are among the most expensive of LEDs. White LEDs are also a false white, and various approaches have been taken to create a white color. Advances are being made to improve the white LED’s outward color (color temperature) and their ability to properly illuminate all colors (the Color Rendering Index). As the cost, efficiency, and CRI of the white LEDs improve, they will find an expanding role in our lives. Kaczorowski, a native of New York City, now resides in Fort Wayne, IN. Kaczorowski has a 4-year degree in Mechanical Engineering from the University of Texas at Austin, and also a 2-year degree in Electronics Engineering Technology from the Community College of the Air Force. Kaczorowski’s broad work history includes (chronologically): Three years as a Mercedes-Benz mechanic; six years as an electronics technician with the Air Force; three years as a new product development engineer with General Electric Lighting in Cleveland; seven years as a new product development engineer and an engineering analyst with Grote Industries in Madison, IN; and currently as an engineering analyst with International Truck and Engine Corporation in Fort Wayne. The first two years of Kaczorowski’s employment with General Electric consisted of extensive training in light source sciences and engineering under GE’s Edison Engineering Program. Kaczorowski’s experience with lighting was broadened at Grote Industries, which is a supplier of vehicle lighting for heavy duty trucks. This entry was posted in Home Lighting and tagged diodes, illumination, LED, light-emitting diodes, lighting, pool lighting, stairway lighting, traffic signal lighting, vehicle taillights. Bookmark the permalink. 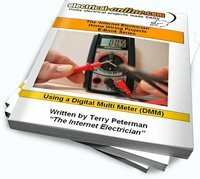 How Do I Wire an RV Electrical Service?